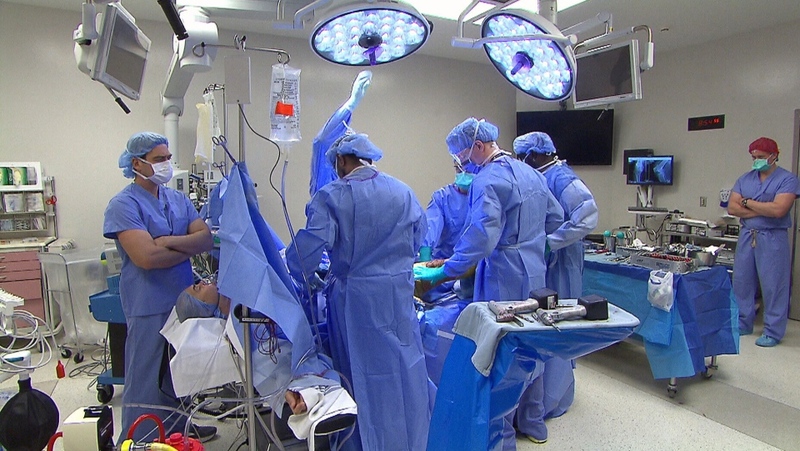 TORONTO -- A Toronto day hospital is testing out what some have dubbed “drive-by joint replacement surgery,” which does away with the traditional two-to-three day hospital stay, and gets patients from the operating room to their homes in six hours or less. Women’s College Hospital -- one of a few day hospitals with no overnight beds -- has become the first in Canada to offer same-day joint replacement surgery in an outpatient setting. The program combines existing surgery with a sped-up recovery plan and a special app to monitor patients at home. Doctors have tested the program on six patients so far -- with promising results. “We started about a month ago. We have had no complications so far,” said Dr. David Backstein, an orthopedic surgeon. Among the first patients was 56-year-old Greg Nemez, a real-estate agent from Mississauga, Ont. A longtime athlete who played tennis and golf, his right leg suffered injuries that led to severe arthritis. “It was very painful and every step I took I would cringe. I would have pain shooting down my leg and up my leg,” said Nemez. The pain affected his sleep, his work and his quality of life. “Enough was enough, I couldn’t tolerate it,” said Nemez, explaining why he jumped at the chance to be among the first to try out the same-day procedure. The procedure is essentially the same knee replacement performed across the country. But the same-day program selects people who are motivated to recover quickly and have good support for a post-operative recovery at home. “We are selecting fit, healthy people. I am picking people who want to go home and want to get better,” said Backstein. The second innovation is the use of anesthetics. Surgeons are using a short-acting spinal block (anesthetics injected near the spinal cord that block pain) that last about 90 minutes to enable surgery. They also use peripheral nerve blocks that can last as long as 24 hours to offer pain relief but allow patients to move their legs. “We are fooling the brain to feel like they are not having surgery -- local anesthetic like the dentist. That is one of the newer techniques,” said anesthesiologist Dr. Richard Brull. Nemez started his surgery just after 8 a.m. He was partially awake, though groggy, and chatted throughout the operation as doctors cut out his old knee and replaced it with an implant. The procedure took just over an hour, after which he was sent to recovery. About two hours later, a therapist was at his bedside, measuring the mobility of his new knee and getting him up walking. “I can feel my knee straightening,” Nemez said as he climbed a set of stairs on crutches. He then picked up his medications and was sent home, driven by a friend. By 3 p.m. he used crutches to manoeuvre his way onto a living room sofa where the next innovation began -- a virtual visit with his medical team. Nemez consulted with a doctor on a tablet computer using a special app, which offers 24/7 contact. “A have a little bit of pain but not a lot, and I’m happy to be home,” Nemez said. A tracker on his belt also relayed information about his activity. “We have not only managed symptoms, but also managed complications,” said Dr. Daniel Cornejo Palma, a surgical resident who is part of the project. Same-day joint replacements are offered in some U.S. hospitals, often driven by the need to find profits. Experts say introducing the concept to Canada will make health care delivery more efficient, in the face of a national bed shortage and long waits for joint replacements. “Some patients have their surgery cancelled because all the beds are full, said Dr. David Urbach, Surgeon in Chief at Women’s College Hospital. “We don’t have to worry about a bed because the patient is going to go home. Our goal now … is showing what can be done and persuading other hospitals,” he added. The plan is to test the approach on 10 patients and then hopefully expand the program. Same-day hip replacements may be next. Overnight hospital stays will still be required for frail patients, those with other health problems, or patients who lack good support at home. But some doctors think that, in time, accelerated joint replacements could be performed in 30 per cent to 50 per cent of all knee surgeries with an estimated savings of about $2,000 to $5,000 per patient. Nemez assures us that he doesn’t remember anything from his operation -- only that he no longer has pain in his right leg and is happy to be home, where he thinks he will recover more quickly. “I think it is the sign of the times. People want it speedy, they want it now, they want a speedy recovery and anything they can do to help that and limit your stay in the hospital is perfect,” said Nemez. Greg Nemez undergoes a one-hour procedure to replace an arthritic knee at Women’s College Hospital in Toronto. 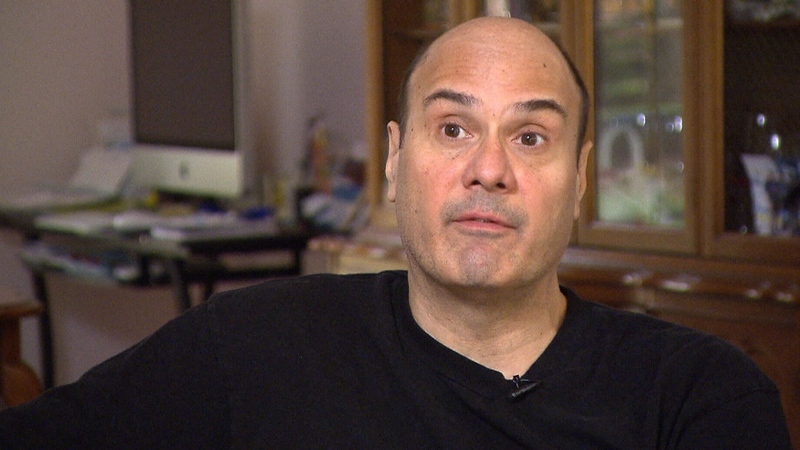 Greg Nemez, a real-estate agent from Mississauga, Ont., underwent knee-replacement surgery at Women's College Hospital in Toronto and was back home in about six hours.